VYC is a close-knit family and all new members of our family are made to feel right at home. Some of our families are now in their 3rd generation of membership! Although our focus is sailing, everone pitches in to help during race weekends and on working weekends. Sign up as bridge or rescue crew, help in the galley on regatta weekends, assist with preparation for functions, support us on junior sail training weekends, etc. Single members (over the age of 19 years). Family members (couples or single parents and their children under the age of 19 years). Honorary life members: A person who, having rendered distinguished service to yachting or the Club, is elected as an Honorary Life Member at a General Meeting of the Club, on recommendation by the Executive Committee. Student members: Full-time scholars or students at any recognized educational institute in the Republic of South Africa. Honorary members: A special nomination which is awarded for 1 year. Country members: Members that are in good standing at another recognised sailing club and who reside outside a radius of 90 kilometers from Vogelvlei Yacht Club. Absentee members: Members who have indicated to the Executive Committee that they, for whatever reasons, cannot make use of the club premises or privileges for a determined period but wish to retain their membership status. Junior members: Members under the age of 19 years. Membership is open to all residents of South Africa. To become eligible for membership, a candidate is proposed and seconded by senior members of the club. Subscriptions, levies and fees are paid annually. 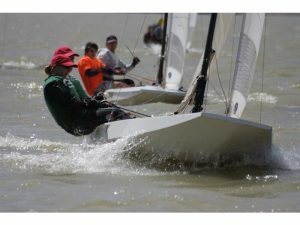 All members of Vogelvlei Yacht Club are registered with South African Sailing.